And we're off to a Public Hearing. Lots of discussion on affordability and whether or not below-market rentals are appropriate given the scale of development. Whatever happens, I hope they retain the dog fountain, which is a very important public amenity. Great name for the project, too. The Dog Fountain. Based on some of the renderings for this project it could be called The Dog's Breakfast. The dog fountain also includes a public drinking fountain. Whether this is an "all-species fountain" or a segregated dog/human fountain will likely be key in whether this is approved. 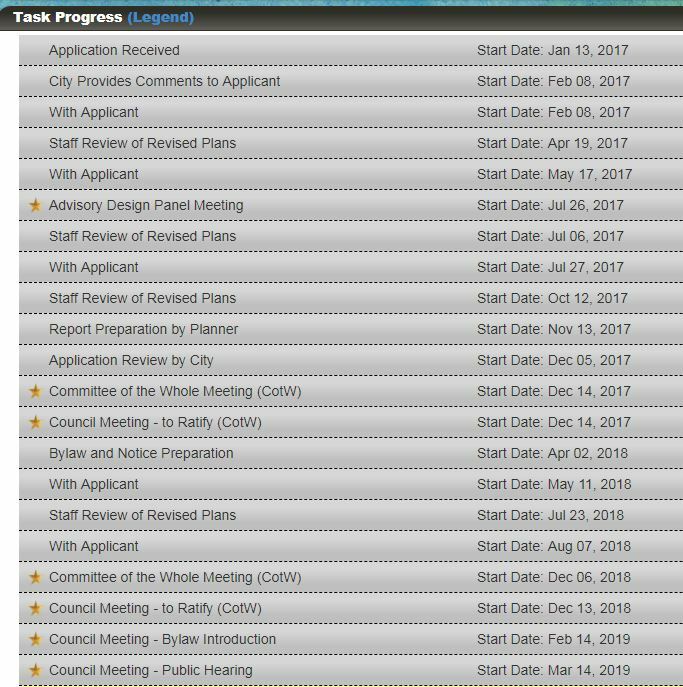 This is finally going to council on Thursday, March 14. Does anyone know if this was approved last night...? This one moved at light speed. Only 50 26 months from when the application was first received to approval. Edited by Nparker, 15 March 2019 - 10:37 AM. reason #17 that affordable housing is difficult to build in our region. how are you counting months? Poorly it seems. I should have said 26 months. Aug 2016-March 2019. Concept to approvals. Just shy of three years. But no, they go with the headline they know will attract negative attention. I understand this will likely generate more online clicks, but it also feeds into the local anti-development sentiment that is all too prevalent in our region. There's a reason I will never pay for their publication. It's not just the interwebs where sensationalism sells, seems the old fogey TC print media wants a piece of the action. Does unbiased reporting still exist?